Noreena Hertz, an economist and best-selling author, advises some of the world’s leading business, media and political players on future trends. Speaking at Google Zeitgeist 2015, Noreena discusses why – from a business perspective – it is important to understand and engage with “Generation K”, who she defines as the teenagers of today. Teenagers represent a significant market, worth €100 billion euros in Africa, the Middle East and Europe combined. Noreena believes that if you want your business to be successful over the next two decades, you need to deeply understand this generation and how profoundly different they are to their predecessors. Noreena argues that for this generation the world is more “dystopian” than “oyster”, which has resulted in widespread anxiety, amplified in part through constant connection with technology. One of the issues Noreena identifies as making this generation most anxious is inequality (gender, racial, economic, trans-gender). Having been profoundly shaped by “the global economic crisis and existential dangers”, Generation K are committed to being active agents of change who campaign for a better future. Therefore, when trying to engage with Generation K, Noreena argues that it is critical that businesses are transparent, and that they use the right tools to try and understand this unique group. Watch the video above for the full keynote. For more information, or to book Noreena Hertz as a speaker for your conference or event, please contact Leo von Bülow-Quirk at leo@chartwellspeakers.com or call 0044 (0) 20 7792 8000. 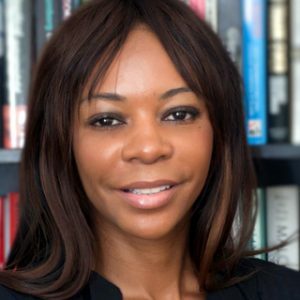 Dambisa Moyo, best-selling author of “Dead Aid” (2010), “How the West Was Lost” (2012) and “Winner Takes All” (2012), spoke at Google Zeitgeist 2015 on the global economic and political risks we cannot ignore. In a keynote titled “Tomorrow’s World”, Dr. Moyo puts forward that the defining challenge that we face today is how to create economic growth, and ensure that this growth continues in the emerging markets. Organisations such as the IMF have forecast that global growth rates will plummet down to 2% by 2060, almost 50% lower than what we’ve seen over the past 50 years. Dr. Moyo demonstrates that there is also a clear rise in political disorder; in 2014, the Economist Intelligence Unit delivered a report saying that 65 of the 150 countries they investigated would see significant increases in political and social risk. Dr. Moyo goes on to stress that these risks may stem from the fact that we live in a very unique time of change. In the 1960s the global population was 3 billion, today it is over 7 billion, and by the time population levels are predicted by demographers to plateau in 2100 it’s expected to reach 10 billion. As a result, there is significant pressure for governments to expand and provide opportunities. She believes that we must not become globally indifferent, by calling to task our political and economic systems and challenging them to be the best that they can be. For more information on how to book Dambisa Moyo as a speaker for your conference or client event, please get in touch with Jeana Webster at jeana@chartwellspeakers.com or call on +1 972 385 1021.